Not much is known about this mysterious trio, who released the synth-pop masterpiece Walls Have Ears album in 1982. Who were these guys? The songs were all credited to 'Tinker','Tailor' and 'Soldier' (in different variations) so that certainly hasn't helped matters much. What we do know is that it was released on F-Beat Records in the UK (as Ears Have Walls) and on Warner Brothers in the U.S (as Walls Have Ears). Reviews at the time mentioned the name Pete Marsh as the main-man of the band. Marsh was originally a member of Easy Street, a mellow acoustic act of the '70 whose ranks also included Richard James Burgess, who went on to produce plenty of synth pop in the '80s. (Marsh later appeared on Nick Lowe's The Abominable Showman album.) One of the tracks on Walls Have Ears, "Lovers", was written arranged by Jack Hues (then of Huang Chung, soon to be Wang Chung). From there, it's anybody's guess. Maybe it's the guys from Klaatu. I remember hearing what I believe was the first single, "Say You Will," on WLIR-FM. I also remember thinking it was a new song by The Cars, although listening to it now, I don't hear that as much. Or at all. I do love the way they harmonize and how their songwriting goes an extra step or two above most of the simple synth-pop bands of the time. CLICK HERE for a ZIP of my fave tracks from this great lost record. 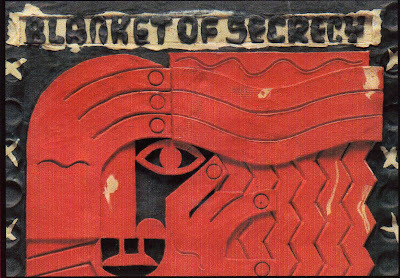 Blanket of Secrecy ? , synth pop ? oh gawd , I cant go there. What is this an Other Music blog ? It's now known to be the responsibility of London engineer Roger Bechirian and a singer named "Pete Marsh," according to July/Aug 2012 issue of TapeOp. If you want to know more about this amazing band then look out for the re release due mid feb 2013.